West Ruislip UB10 Gardeners & Tree Surgery | RDA Cleaning & Maintenance Ltd. If you have a great patio in your property, you are lucky. A garden can make the leisure time at home more pleasant and even healthy - outside at the fresh air it is so beneficial to relax! But to take those benefits of your garden, proper care is necessary. Remodel your garden area without even a single effort! Make it the outdoor paradise of your home simply and on a budget. We can offer you a great bunch of modern and competitive gardening services in West Ruislip UB10 on a budget! Our professional gardening company is a smart solution for the perfect and effortless exterior space. 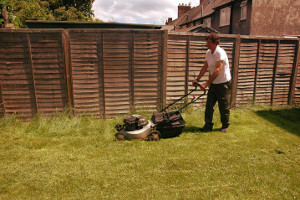 Why Entrust Our Garden Renovation & Maintenance UB10 West Ruislip Services? We are flexible and can suit anyone`s personal or professional schedule. We have flexible booking slots and we work during weekends and national holidays, too. With no extra charging. Same-day and emergency reservations for our comprehensive garden maintenance & renovation services in West Ruislip UB10 are always available for you. Keep in mind that we can provide the entire equipment. The gardeners are well-trained and prepared. They are gifted and responsible, they never leave a property with unfinished job! RDA Cleaning & Maintenance Ltd. has been on the market for 8 years. We always mention that our success is due to the big motivation we`ve got to advance in our services and to leave all customers happy and satisfied. Currently, professional garden maintenance services have more than 5 thousands of happy customers. This means 15 thousands of lawns kept in proper condition. We do offer lawn mowing and lawn care - reseeding, patches, fertilizing, watering edging, as well as special autumn lawn care and spring lawn care like lawn repair, lawn scarification, lawn aeration and lawn feeding. Note that RDA Cleaning & Maintenance Ltd. has no day-off when it comes to our effective gardening services. Our gardeners West Ruislip UB10 can offer you convenient offers for a regular daily, fortnightly, weekly or monthly basis. So if you wish to hire an expert gardening company in West Ruislip UB10 then please give us a call at 020 3404 1646 or use our online booking forms and we will be on our way to help you out with any kind of service available.